Recommendation systems often fail to live up to expectations in real situations because of the lack of user feedback, known as the data sparsity problem. A large number of existing recommendation methods resort to side information to gain a performance improvement. However, these methods are either too complicated to follow or time-consuming. To alleviate the data sparsity problem, in this paper we propose UGAN, which is a general adversarial framework for recommendation tasks and consists of a generative model and a discriminative model. In UGAN, the generative model, acts as an attacker to cheat the discriminative model to capture the pattern of the original data input and generate similar user profiles, while the counterpart, the discriminative model aims to distinguish the forged samples from the real data. By competing with each other, two model are alternatively updated like playing a minimax game until the generative model has learned the original data distribution. 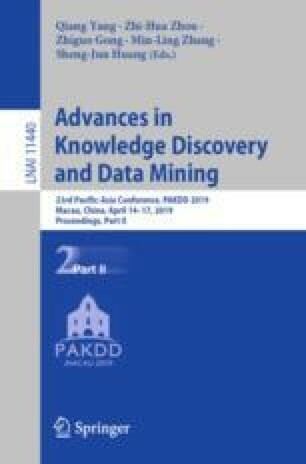 The experimental results on two real-world datasets, Movielens and Douban, show that the user profiles forged by UGAN can be easily integrated into a wide range of recommendation methods and significantly improve their performance, which provides a promising way to mitigate the adverse impact of missing data.